A beautiful phone in pristine condition. A GENUINE vintage item and is in LIKE NEW condition made by GENERAL POST OFFICE. Extremely hard to get hold of in a special edition release colour. Rotary dial phone which has been upgraded to work on your telephone line straight away. Just plug in and away you go. 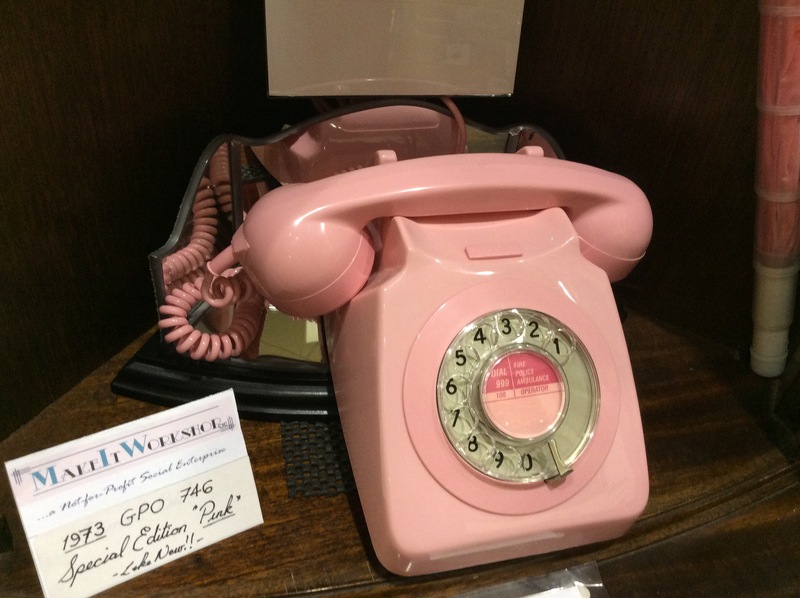 A beautiful phone for your living room or bedroom. It will certainly be a centre of conversation and would make a fabulous Christmas present for that special person. As always we are open to any reasonable offers. This entry was posted in General Posts, Latest Updates and tagged phone, retro, telephone, vintage.